March was an unbelievably zealous project – after building just one F3 car in 1969 they announced they would be building F1, F2, F3, FF, and Can-Am cars for 1970… as well as running works teams in F1, F2, and F3… Ambitious, or what…! Peterson drove the Antique Automobiles/Colin Crabbe entered March 701, while Tyrrell entered another for reigning Champion, Jackie Stewart… who drove it to 3rd in it’s first race, and to victory in the second… followed by two more 2nd places before Tyrrell produced their own car. A second Tyrrell/March entry was shared by Johnny Servoz-Gavin and Francois Cevert, Mario Andretti drove a semi-works entry, while March themselves entered Chris Amon and Jo Siffert… Has any new F1 team ever had a more illustrious start…? March finished 3rd in the Constructors Championship with 48pts. to Ferrari’s 52, and Lotus’ 59. Peterson started nine of the thirteen races, retired from five, and failed to score any points… but was offered a full works drive for 1971. My theory of a driver needing to establish some sort of claim to the Championship by the end of his third year was knocked cockeyed by Peterson’s performance. In the clip below (sorry – dreadful picture quality) note especially the race is started before the cars are settled on the grid. The same thing would happen seven years later… And notice Regazzoni, supposedly starting from the fourth row – third car from the left, on the far side – who takes the lead in about 200m. after a ‘rolling start’. As March started to go backwards… Lauda went to BRM… but Peterson ‘wasn’t bovvered’ either… having accepted a place at Lotus, with reigning Champion, Fittipaldi who, during the year, won three GP, to Peterson’s four… Fittipaldi beat Peterson 5:3 in further podium places, to beat Peterson 55pts:52pts. to 2nd & 3rd in the Championship. When they both finished Ronnie beat Emerson 2:1. Peterson also beat Fittipaldi 9:1 for pole positions. There can be no doubt Ronnie Peterson would, could, should have won a World Championship. Fittipaldi now moved to McLaren leaving Peterson to fight it out with Jacky Ickx although, as both were renowned gentlemen, I doubt there was any actual conflict. However, on this occasion it was Fittipaldi who had shrewdly known when to go… Lotus produced the 76, which was instantly disliked, and the drivers reverted to the old 72 and were largely trounced by McLaren, Ferrari, and Tyrrell. Even so Peterson was still able to take three wins and a 3rd (Ickx only managed two 3rd places), plus two fastest laps and one pole, but could only finish 5th in the Championship – just behind Lauda. Had it all come together too quickly for Peterson, only to fall apart before he could claim his inheritance…? At that time an international jury of motor sport journalists handed out a 100gr. gold ingot, the Prix Rouge et Blanc Joseph Siffert, to the best performing driver in each race. The driver who received the most votes overall also received a half kilo gold ingot at the FIA’s prize party in Paris. Peterson won this in 1974. Meanwhile, Chapman, who was a renowned smooth-talker, was perhaps not such a good businessman. During 1974 John Player declared they would not be renewing their contract. Chapman and Peter Warr managed to talk them into staying but the budget was cut by 40%. Having nothing with which to replace it Chapman and Warr looked at the balance-sheet, and asked Ronnie to drop his salary, that he was already contracted to receive – for the current year. Ronnie’s management rightly objected, because it would drastically affect his future negotiating power. Peterson was paid… and Lotus was left ‘penniless’… and unable to develop a new F1 car. I don’t think…! For the sixth season Lotus again fielded the, now ancient, 72, without the promised development. Ickx had a surprise 2nd place in Spain, just one sec. behind Mass, but Lotus was going nowhere. Ickx, on the other hand was… He pulled out mid-season, and retired from F1. After five full seasons in F1 Peterson, who everyone agreed was fast… had finished 2nd, 9th, 3rd, 5th, & 13th in the Championship. While others were jumping overboard, swimming to other teams, and winning Championships in the process, Ronnie Peterson was either too nice, poorly advised, or perhaps naive… because he stayed for yet another year – with a new teammate, Mario Andretti (in a one-off deal for Brazil), and with lots more promises, from Chapman. Gunnar Nilsson (another very fast Swede who was sadly to die of cancer after two promising seasons) appeared, along with Bob Evans, who joined the fold for two unsuccessful races, after a disastrous 1975 with BRM… having won the F5000 Championship in 1974. Back then as well it was possible for a ‘junior’ Champion to fail to set F1 alight. ‘Feeder series’ have never been a guarantee of future champions. Peterson returned to March, to take Lella Lombardi’s seat who, after a year, had failed to really shine. In America Peterson qualified 6th but he had to get through seven more dismal races before finishing 6th, in the points, in Austria, after qualifying 3rd. At Monaco he had also qualified 3rd behind the Ferraris and then, in Holland, he was able to stick his March on pole. At Monza he was only eighth on the grid but, in the race came right through the pack to take a surprise, but deserved win, setting fastest lap in the process. In Canada he qualified 2nd, still ahead of other drivers in basically the same car, and 3rd at Watkins Glen, and managed to finish 11th in the Championship, courtesy of the Italian win. Meanwhile… Andretti had failed to progress the Parnelli and Chapman enticed him back to Hethel, full-time, to help develop the new 77. How Lotus was suddenly able to afford Mario is not recorded… but it was worthwhile because in the last five races of the season Mario was on the podium twice before taking victory in the final race at Fuji. Jody Scheckter now moved to Wolf, so Tyrrell ‘rescued’ Peterson, but he failed to out-perform teammate Depailler, recording one 3rd place at Spa, and fastest lap at Watkins Glen… while the Lotus 78 had won five races, and started on pole seven times, also scoring four fastest laps. I have mentioned before in this series the recurrent problems these drivers all had that conspired to keep them off the top step at the end of the season. One is the competition at the time and Peterson’s era was especially difficult – during this period (1968-78) an astonishing 148 drivers had their first experience of F1 GP racing and 75 lasted for three years or more. Within a year or two of Peterson’s entry into F1 Derek Bell, Andretti, Jackie Oliver, de Adamich, Pescarolo, Cevert, Gethin, Stommelen, both Fittipaldis, Regazzoni, Lauda, Jarier, Pace, Merzario, Scheckter, Reutemann, and Depailler also appeared. The inimitable Murray often liked to say: “In order to win, you must first finish.” but also… in order to finish, one must actually start, and with so many good/great drivers fighting for a seat this was always going to be a problem. While Peterson was floundering in his March/Lotus sojourn in the wilderness (for which his management needs to take some responsibility) he was also joined by Hunt, Mass, Watson, Jabouille, Pryce, Stuck, Brambilla, Lafitte, Jones, and Nilsson… all fighting over, at most, a dozen decent seats. Peterson was hired strictly as No.2 to Andretti, who had spent a year or so developing the 78/79, with which Peterson was quite content – it was an offer he had no reason to refuse. They took 1st and 2nd in the Championship, finished four races in 1-2, in best Fangio/Moss tradition, and between them took eleven poles from the sixteen races, and six fastest laps. Twice, when Andretti had a problem, Peterson was there to take victory. Lotus were on top again, after four years in the doldrums – and Peterson seemed re-set for stardom. He had even accepted (allegedly) the No.1 seat at McLaren for 1979 although, in retrospect, as McLaren would not come good again until 1982, even that would not have given Peterson the crown. By the Italian GP only Peterson was in a position to wrest the Championship from Andretti, and that wasn’t going to happen. What did happen is that the race was started before all the cars had assembled [See video-clip above.]. Several cars in the rear half were still moving when the ‘flag fell’ and almost inevitably they were so close that a coming together at the chicane put ten cars out of the race – and Peterson into the barriers. The Lotus caught fire. Peterson, with severely damaged legs, was trapped. Hunt, Regazzoni and Depailler managed to drag him free before he was severely burned. Fully conscious, Peterson lay in the middle of the track for twenty minutes before the medics could get through. Vittorio Brambilla had been hit on the head by a flying wheel, was unconscious, and was attended to first (as would be normal in such a situation), before both were flown to hospital. In the way that so often happens, that causes one disaster after another, it was three hours later when the cars reassembled for the re-start. Scheckter crashed on the formation lap and hit the barrier. The spot was inspected by five drivers who insisted on repairs. When the race finally got under way, shortened because of failing light, Andretti won, in front of Villeneuve, but both were deemed to have jumped the start and penalised one minute. Nevertheless, Andretti was still crowned Champion, to naturally subdued applause. That night a bone-marrow embolism developed and caused Peterson to fall into a coma. He died the following morning. While researching this article I discovered that Peterson and I shared a birthday. A few years after his death I also suffered embolic problems in hospital from leg injuries after a severe car crash, although I was also unaware this was Peterson’s problem until I came to write this. It somehow makes this article more poignant for me than usual, although it had no effect on Peterson taking 5th place in this list. There is a statue of Peterson in his home town of Orebro and his daughter, Nina (named after Jochen Rindt’s wife), opened the Ronnie Peterson Museum there in 2008. After eighteen months it was forced to close due to lack of funding. One of the most famous Swedes of the 20thC, and their government finds itself unable to assist…? Nigel Roebuck, in MotorSport, wrote: “Peterson was never a textbook racing driver, in the Stewart sense of the word, but rather one who could make a car dance to his tune, a man of reflex and instinct. René Dreyfus once said of Nuvolari that in his case understeer and oversteer were an irrelevance; whatever the car’s inclinations, it would do what its driver required. Ronnie was like that. 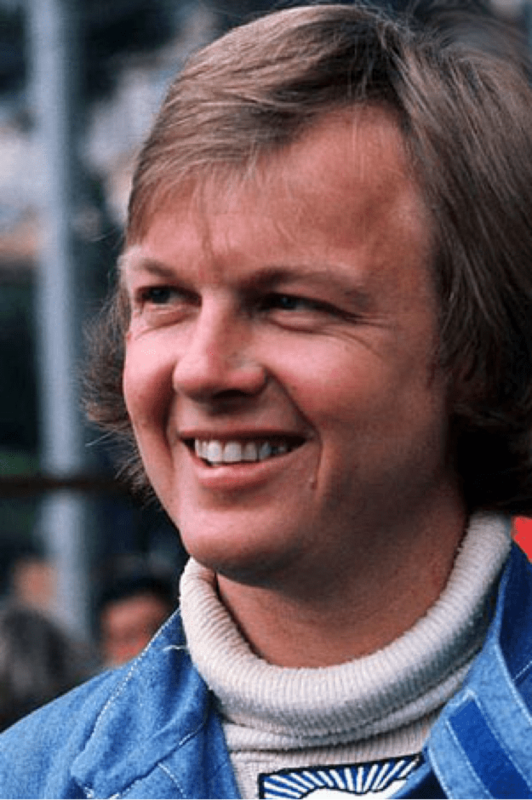 In 123 race starts Ronnie Peterson won 10 races, 16 additional podiums, 14 poles, 9 fastest laps, and twice finished 2nd in the World Championship – both times to his teammate. Normally I wait to comment until after I’ve read the piece, but in this case, I’m super-excited to learn more about Ronnie Peterson! and BJF completeth his 5th place by the seventh day… His work which He hath made, and ceaseth by the seventh day from all His work which He hath made. And this made Scuderia McLaren happy and Scuderia McLaren rested awaiting the prophesied entry of the 4th. OT: You trigger me about ‘Lotus’ – it’s assumed Boullier got unpaid because he started without gardening leave, but maybe Lotus sold him? I read an article about Ronnie on an Italian site and Lotus designer Ralph Bellamy said about Ronnie: ” Ronnie was not a good test driver, but in terms of skills and vehicle control, he was amazing, but was never any good at specifying the problems he had with the car”. So I made some adjustments, and he went back out, back in the pits he told me, ‘even more oversteer’. He said,’well yes, I guess so”. Ronnie was a true drifting and counter steering wizzard, In a time where used their talent and right foot to control the car. *In a time where drivers used their talent and right foot to control the car*. Wonderful to see Ronnie at No. 5. My life-long love of F1 began when, as 11 year old, I watched the 1971 Monaco GP on the TV. I loved the young underdog coming through the field to give Stewart a race, and I loved the bonkers look of the March 711 ( I still do). I also saw the British GP unfold that year from a grandstand at Stowe corner – Ronnie came second again to Stewart. As an 18 year old I wept uncontrollably when Ronnie died and there was of course yet more tragedy surrounding his death (that didn’t get a mention in the feature); his widow, Barbro, took her own life in 1987. I don’t like dwelling on tragedy… and I also have to work hard to keep these articles within physical bounds… which is why I also omitted the anecdote of enzoM’s above… but I’m grateful that you both add them. Ronnie Peterson , like Gilles Villeneuve , were drivers who drove with pure , raw , speed and pace. They really made their cars dance with their fantastic car control . Today’s cars don’t allow us to truly see the drivers input . Both driver’s were able to ‘ drive ‘ around inherit handling issues , as well as go beyond the limits in their cars. Their sideways , steer- by – throttle , driving style was always amazing and spectacular to witness !! I was fortunate enough to have seen both these magic , magnificent drivers perform . One of the many occasions , Ronnie was driving a BMW turbo 3 series at Watkins Glen 6 Hours , in very wet practice session. He went off into catch fence around half way 4.2 mile lap. When he appeared on the main straight , he was driving at full chat , dragging around 60 feet of catch fencing and poles behind him !! Once again BJF I salute you, a great addition to the list.